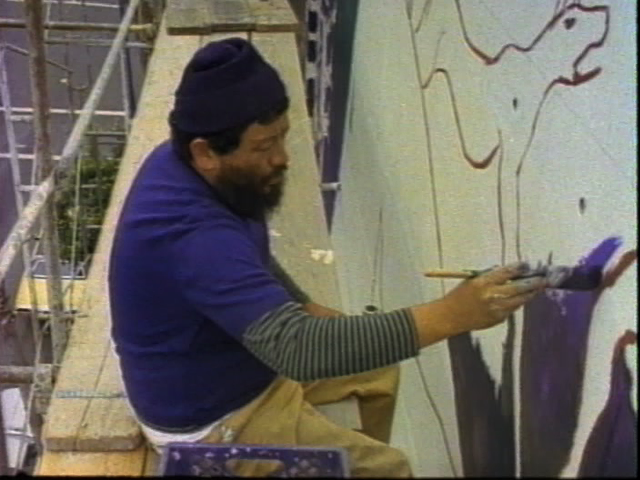 Anatomy of a Mural offers a behind-the-scenes look at the creation of the mural adorning the Mission Cultural Center for Latino Arts in San Francisco. The mural project was a collaboration of artists Carlos Loarca, Betsie Miller-Kusz and Manuel Villamor. Shot on 16mm film in 1982, this 15-minute piece aptly captures the cultural exuberance of a bygone era in the Mission district.